Can you imagine having to spend time without your phone or internet? Seems unthinkable, right? We rely so much on technology these days that it seems unlikely we could get through a day without using technology of some description. Whether we are sending an email on our phones, updating our Facebook status on the laptop, or watching Netflix on the iPad, tech is a big part of our lives. The name probably evokes that small town feeling for you, it certainly does for us – and you’d be bang on the money. The population of Green Bank is a tiny 143, and, judging by what goes down here, we aren’t in the least bit surprised. You see, Green Bank is actually one of the only towns in the world where wireless signals of any kind are actually illegal! Let’s break that down for you – that means no WiFi for your cell phones. No Bluetooth. No electronic transmitters. Basically, the tech-savvy teen’s worst nightmare in every sense of the word. Okay, so why on Earth would any place in the Western world make it illegal to have wireless signals? Surely that would result in people being cut off from the world? Well, yeah – probably accounts for the tiny population. But, the reason behind this is not to frustrate and annoy, but rather a reason that is linked to science. 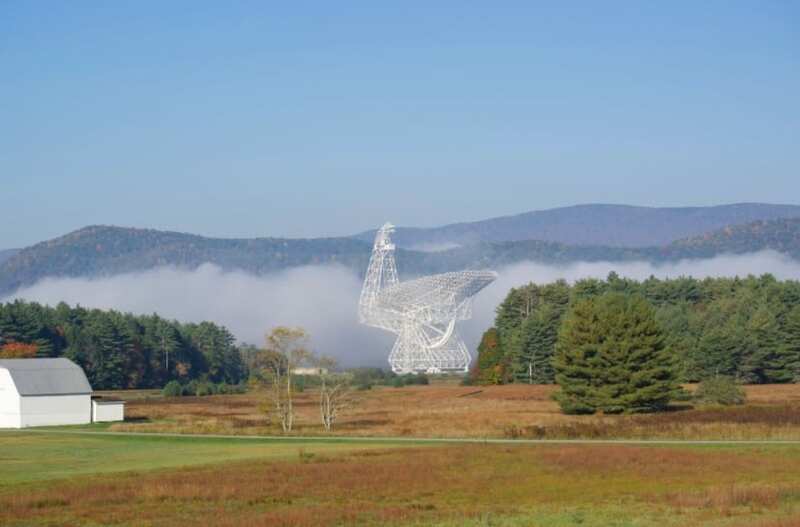 See, the town cannot have wireless signals moving about, as a result of the Green Bank Telescope. The GBT is the largest steerable radio telescope on the planet, and one of the most important scientific links to the universe. Scientists use the telescope to find out fascinating things about the universe and the Solar System. In fact, they listen to radio energy that has come on a journey of many light years, giving crucial information about how stars and galaxies are created. Any rogue signals in the area could disrupt these radio waves, and ruin years of research, not to mention stopping us from finding out important information about the world and how the universe works. Okay, so you’re probably crossing Green Bank off your list of places to go, right? Not so fast. Before you do that you need to know that there is one way of getting wireless signal and being able to update your social media while you’re here. Head for the Snowshoe Mountain Ski Resort, where they have managed to get radio waves to a low enough frequency that they won’t disrupt the telescope. This was incredibly difficult and took a long time to achieve, but achieve it they did! So, if you ever want to head to the town where wireless signals are illegal, you’ll know to head for Green Bank, West Virginia. There are so many reasons to not go, but, wouldn’t you love to head to a place this unique, if only for a while. How many people can say they have been to a town like this? Furthermore, you might get to check out the telescope as well!